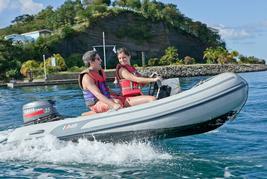 Get ready for the ride of your life on this powerful, twin-engine boat like no other! 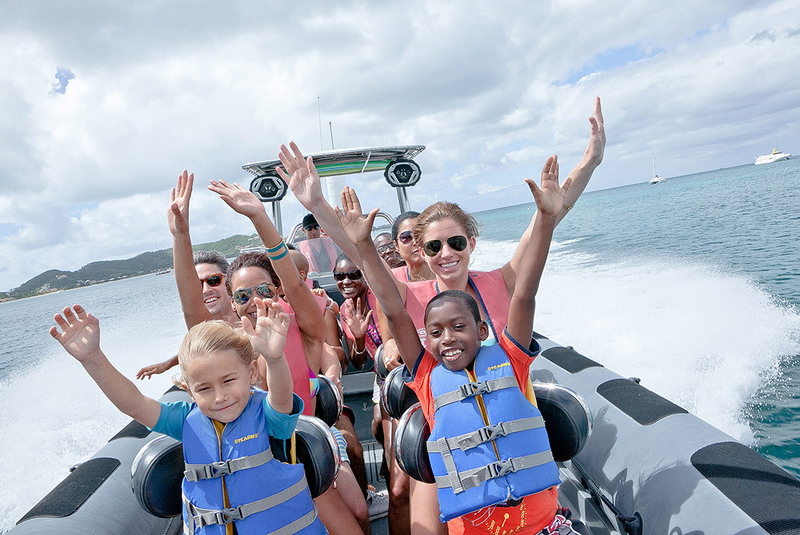 Gear up to go on an Eco-adventure on our custom-built powerboat, specialized for fast, one-of-a-kind sightseeing and snorkeling in Grenada. 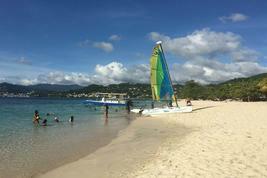 Travel by boat inside Grenada’s marine protected area where you'll learn about the marine park and its wildlife. Then it’s a short motor over to a snorkel site where you will explore the underwater world and all its glory. Enjoy an excitement-filled snorkeling adventure, the only one of its type in the Southern Caribbean, complete with a visit to Grenada's very own underwater site, the world's first Underwater Sculpture Park off the West coast of the island. 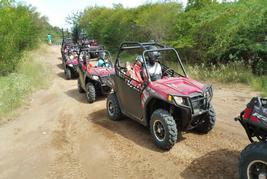 Zoom off again for sightseeing along Grenada’s volcanic coastline where you'll discover hidden bays and coves and learn all about the wildlife and history of the island. Next is an exhilarating ride back to St Georges and a cruise around the picturesque Carenage before a last blast back to the dock.